While something like this list is more appropriate for a cell phone list (and it will be in the near future), writing it down is always a better way for my noggin to remember things. Plus, it gives you, the reader, a little preview what to expect when I start writing up everything from my trip to PAX East. For the record, I'm gonna be as multi-media friendly as possible, so expect a lot of activity on GMM's Facebook and Twitter accounts. I've also opened a new account on Justin.tv, which is a live streaming service, so expect some use out of that as well. Anyway, onto the schedule! 7PM: Rock Band Night @ Brattle Theatre, 40 Brattle St, Cambridge, Mass. A super-mega Rock Band show with the 80's animated flick Heavy Metal playing before the karaoke starts. Hopefully, this means free buffet, but we'll see. 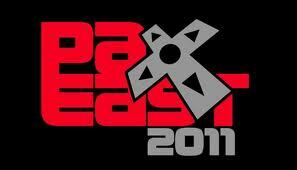 Friday March 11: 9-10:30 AM: Xbox Live Tweet-up @ Lucky's Lounge, 355 Congress, Boston, Mass. A meet-and-greet with the people behind the community of Xbox Live. Hope to get a few questions answered here. 10:30-5pm: Finally get down to the main expo hall and just start checking everything out. Note to hit up Ubisoft's booth as they're making the first day their biggest day. 5-6PM; NCSoft VIP Party. Another chance to cut back on the food budget and try some PC games for a change. 8PM: Gamers Gone Wild @ Market, 120 Water st, Boston Mass. Another dang party, but this one is being sponsored by Epic and Activision, so I must go. Saturday March 12: 9AM. the expo hall opens an hour early for press, so this would be a grand time to get over to Nintendo's booth and give the 3DS a hands-on try. The new Zelda would be nice too. Other than that , that's all I have planned for Saturday. Just walk the expo floor, I guess. Maybe something else will pop up. Sunday March 13: 2-3:00PM Penny Arcade Q&A takes place. Another chance to ask some website questions to a couple of somewhat rich guys. 3-4:00PM So I Have This Website panel. Just what it says. More info to ingest. 5:30-6:30PM Closing ceremonies. More optional than anything, but i would like to see the end of the Omeganaut tournament. Monday: Get home and catch up on sleep!